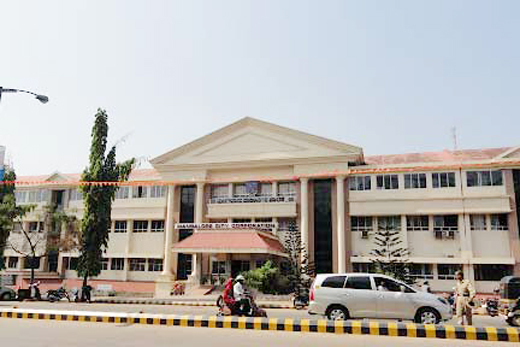 Mangaluru, Nov 4, 2015: In the hope that it can have a head start among top 20 smart cities to be selected in the country , MCC - Mangaluru City Corporation has now decided to do away with illegal petty shops in its jurisdiction. It has decided to remove such shops after a fortnight from now. This was decided in the meeting of the council three days ago. According to M. Shashidhar Hegde, whip in the council, shops which have not renewed licences would be given three month deadline with a fine. If they did not comply they would also be forced out. According to a corporation official, 109 shops have not renewed licences. Those shops would have to pay a monthly rent ranging from Rs. 180 to Rs. 500 to the corporation. The corporation did not collect any deposit from those shops. The, honorary president, Dakshina Kannada District Street Vendors’ Association, states that the decision of the corporation might affect some street vendors who have put up petty shops a decade ago when the concept of “street vending” was not there. If such shops did not have licence, the corporation should make arrangements to issue them licences without evicting. Now the civic body has issued identify cards to 208 street vendors in the city. In addition, 215 vendors were yet to get the cards.